If you are planning to move in or out of Woodstown, Optimum Moving is a stellar NJ mover that you can rely on for a successful relocation without any hiccups. From the planning stage to the actual move, you can be sure that all your moving needs are well taken care of. Moving is our specialty and we serve both the residential and commercial moving markets. Woodstown is a borough established on 1882 and located in Salem County. Named after Jackanias Wood, an early settler, the borough covers a total area of more than 1.6 square miles. Woodstown is also part of the doughnut towns of the Garden State and serves as a densely settled commercial core. 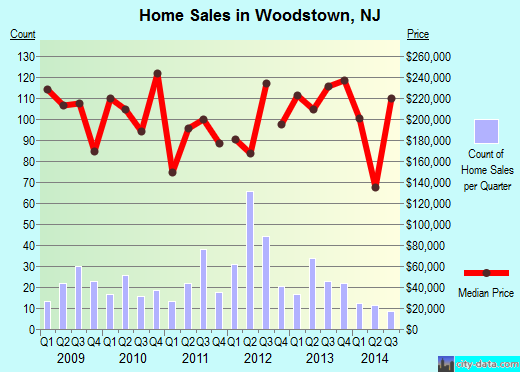 In Woodstown, New Jersey, the average house costs around $229,035 and usually features at least three bedrooms. Renters choose to live in this borough for an average of four years here while property owners live in their houses or condos for an average of 12 years. Surveys have also shown that residents in Woodstown stay for long time durations, with 57% of its 3,482 residents living in the same house for five years on average. Moving out of Woodstown, NJ? At Optimum Moving, we make sure that moving is a positive experience for our all customers. Our professional staff members are able to handle all types of moving tasks, and they can easily take the stress factor out of any move, long distance moves included. We frequently keep up to date with the latest moving trends innovations and we have the right equipment to handle and secure move big-sized items, especially those that are fragile and delicate. Try our services today to ensure a hassle-free move in Woodstown! Want to learn more about a Woodstown Move?